Embroidered Jar Labels will be the perfect complement to any jars you have for storage. These labels come in one standard size, with one additional smaller label, so you can easily dress up any small jars or large jars you may be using for canning or storage. The clear vinyl window allows you to personalize each jar by labeling them, indicating what is being stored in your jars with a dry erase marker. 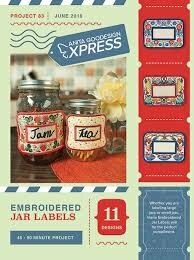 That way, the Embroidered Jar Labels can be used time and time again. 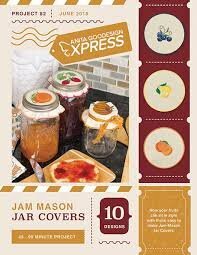 Jam Mason Jar Covers is easily one of the most simplistic in the hoop projects you will create. Choose from 10 delectable fruits to embellish your canned goods. Although these designs only come in one size, you can use them on both a 2 cup and 3 cup mason jar. 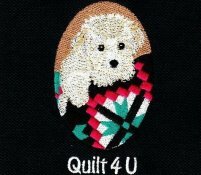 Serger class with Carol - June 23rd $25.00. 10:00 - 2:00 p.m. You will receive instructions on making a regular pillow case, a travel pillow, and a pillow with a ruffle (you will need a ruffler foot for your machine). Interested in purchasing a BabyLock Serger? Contact us to reserve one of our machines for the class. We still have classroom models on sale so this is a a great time to purchase a serger. Materials list will be sent after we receive your class registration. Please e-mail the store if you wish to reserve a machine and to confirm availability. More classes coming in June and July!